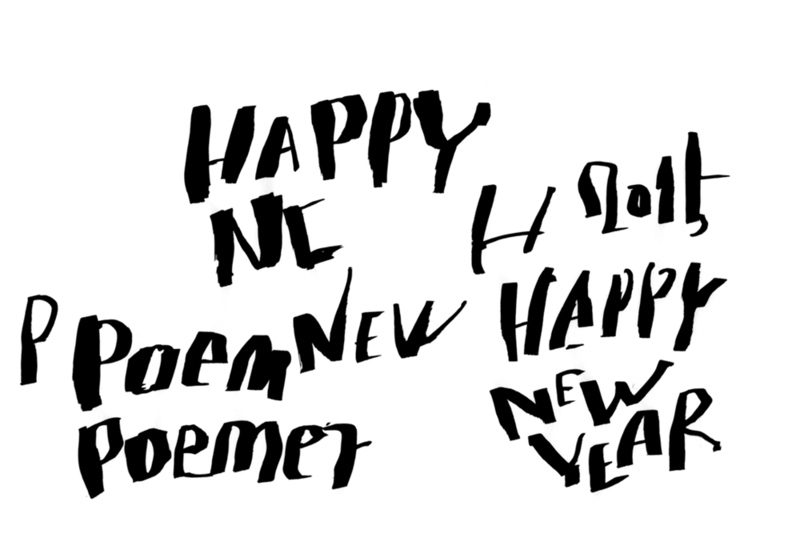 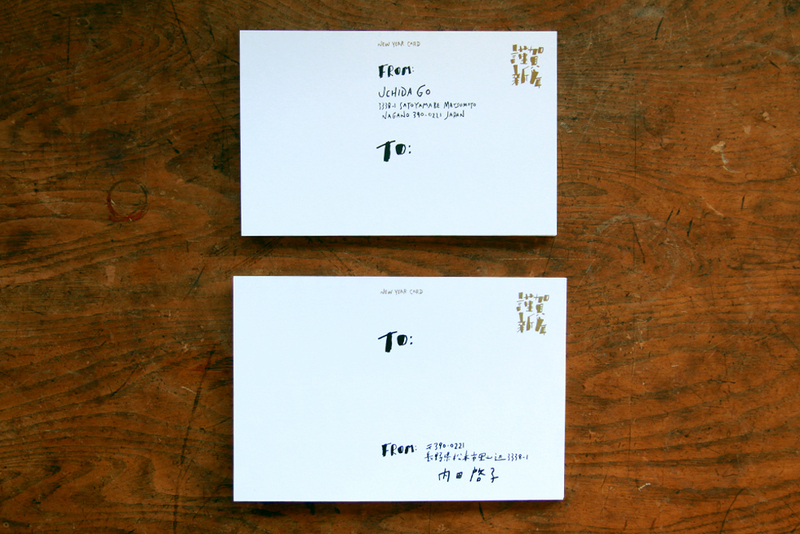 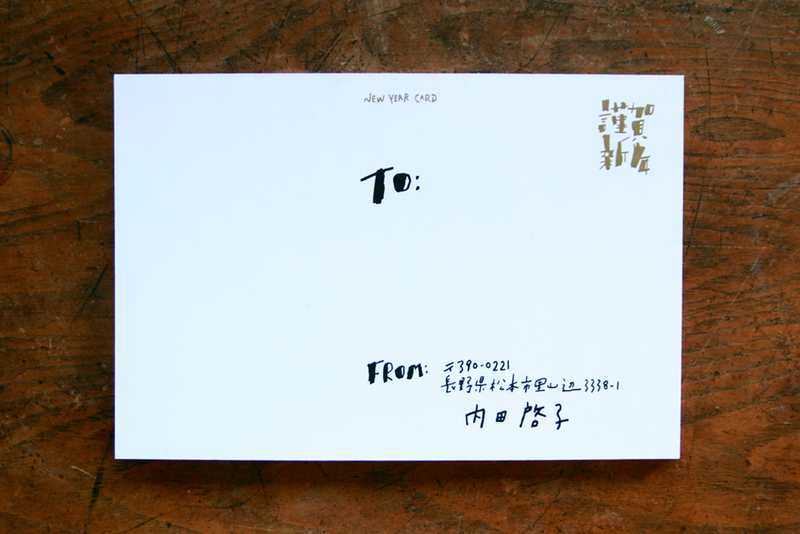 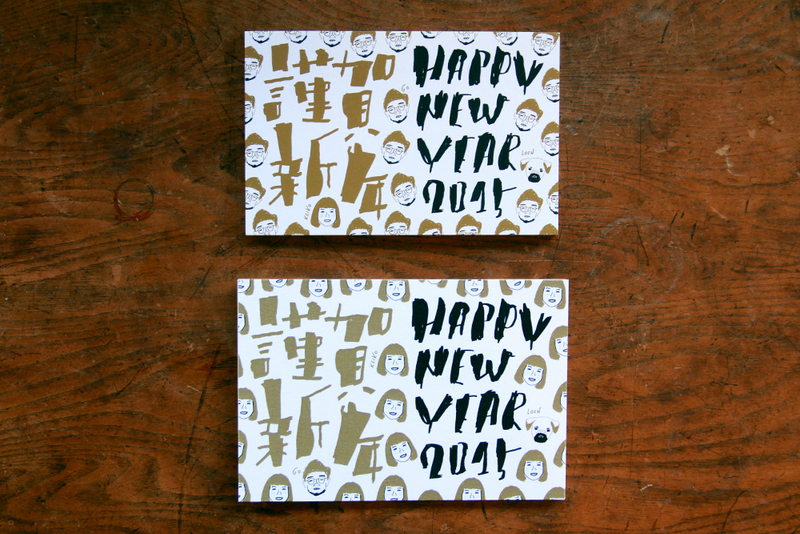 I have been designing new year card every year after starting my studio in 2010. 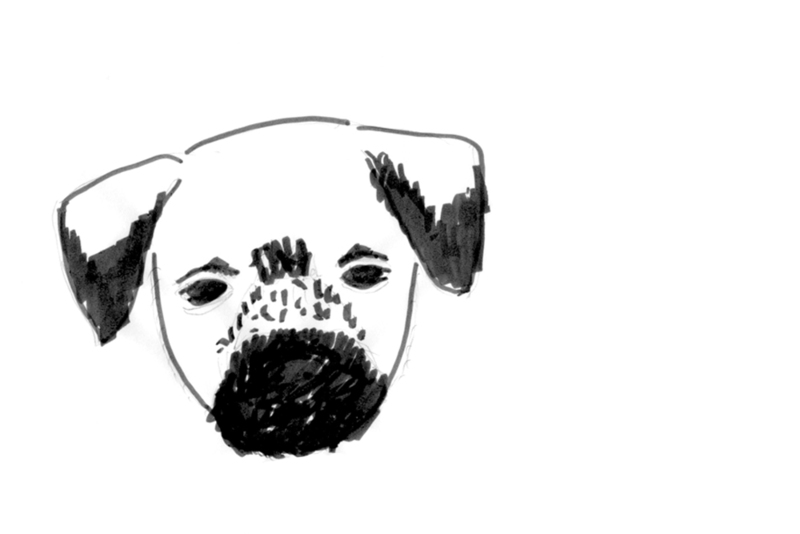 This year, as I have a new little family (puppy!) 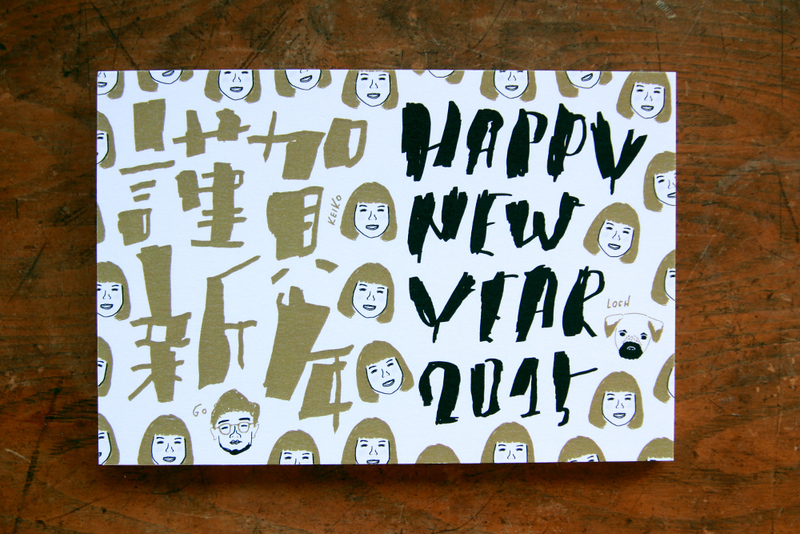 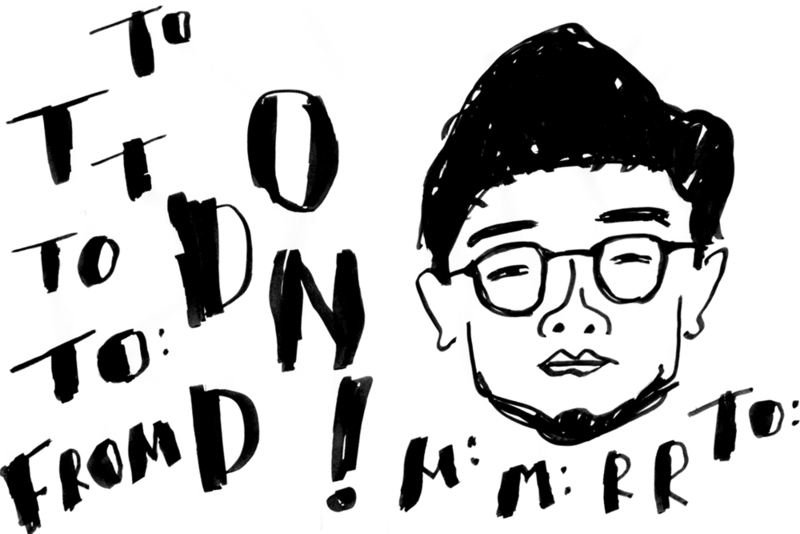 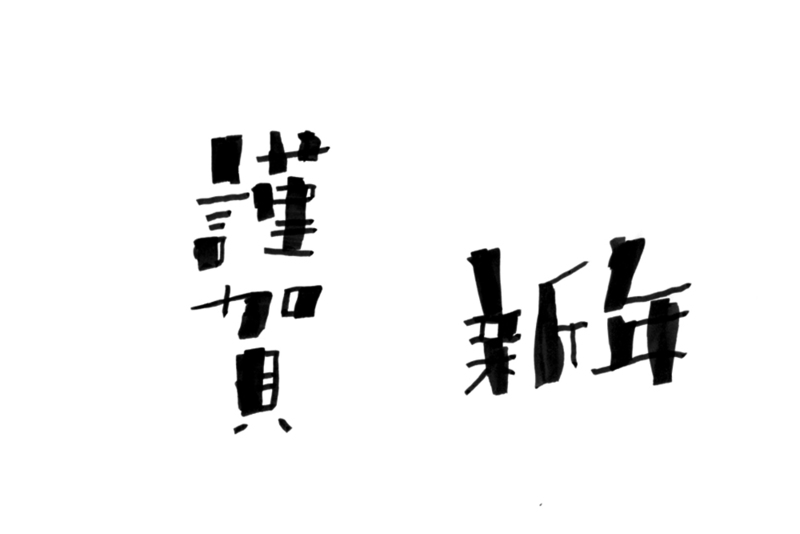 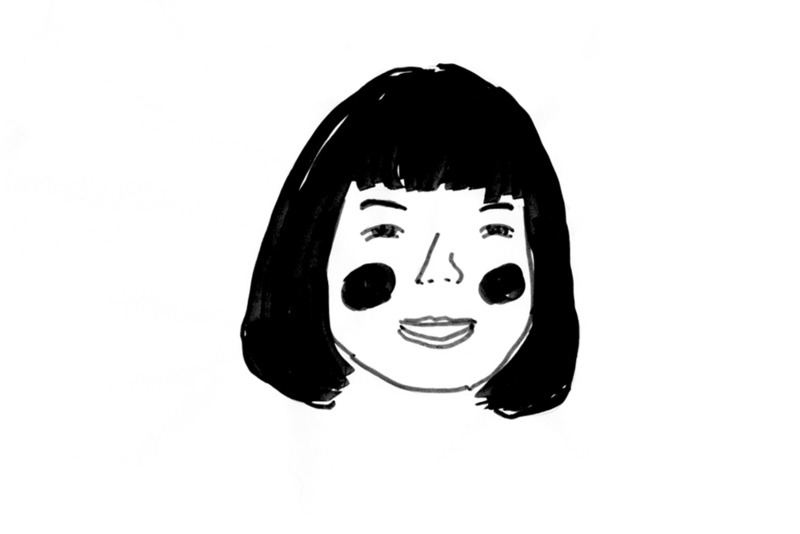 , I designed it too with my family’s portraits that I drew. 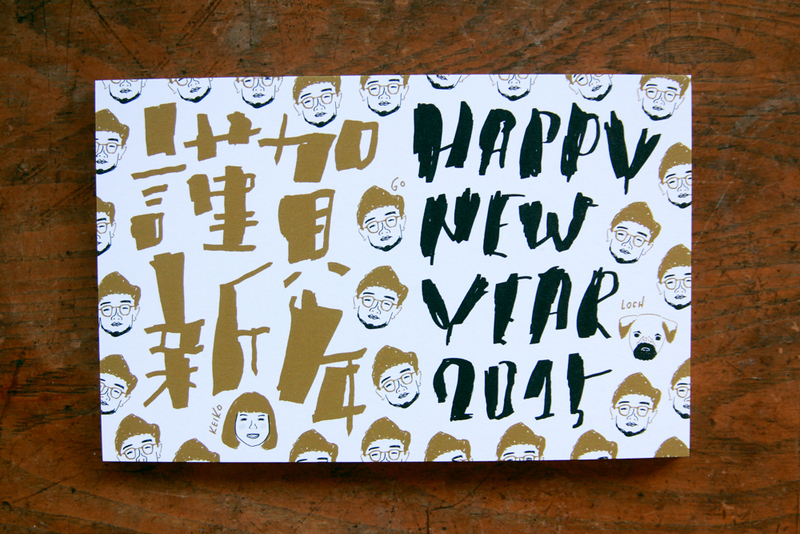 The main colour gold expressed my hope that my family, friends and clients have wonderful days in a new year. 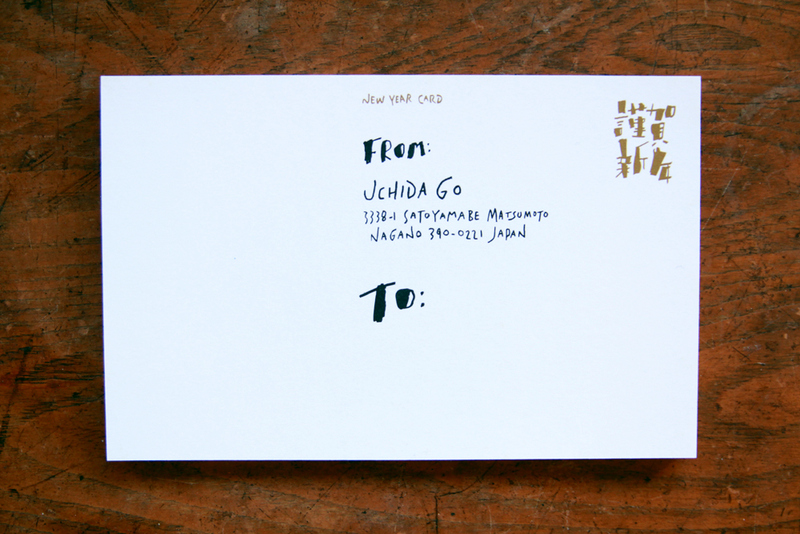 As I want to enjoy making and designing, I designed my card’s size smaller than regular size of post card. 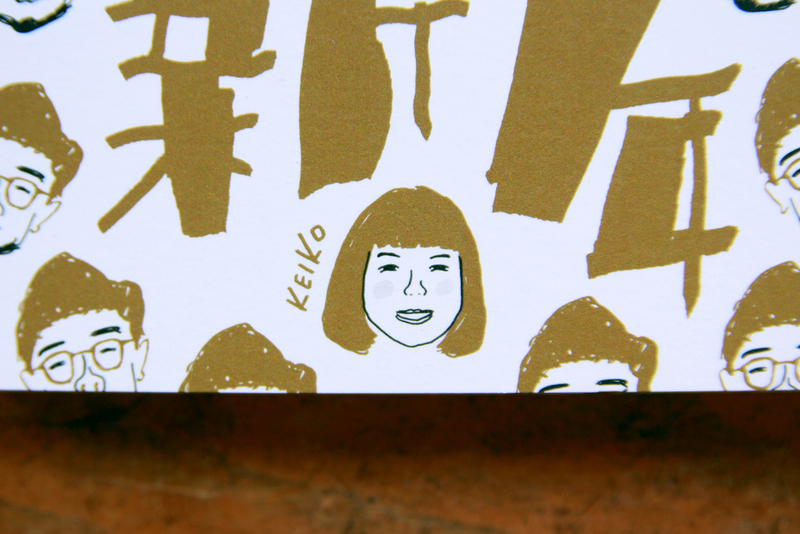 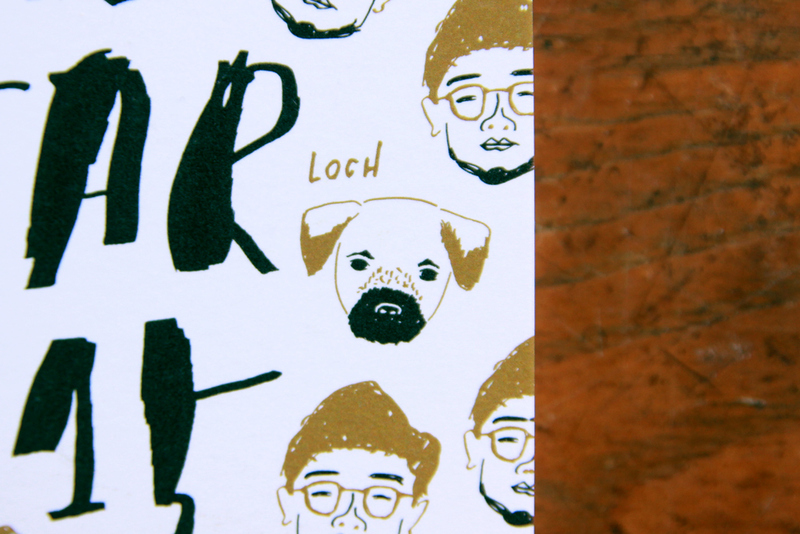 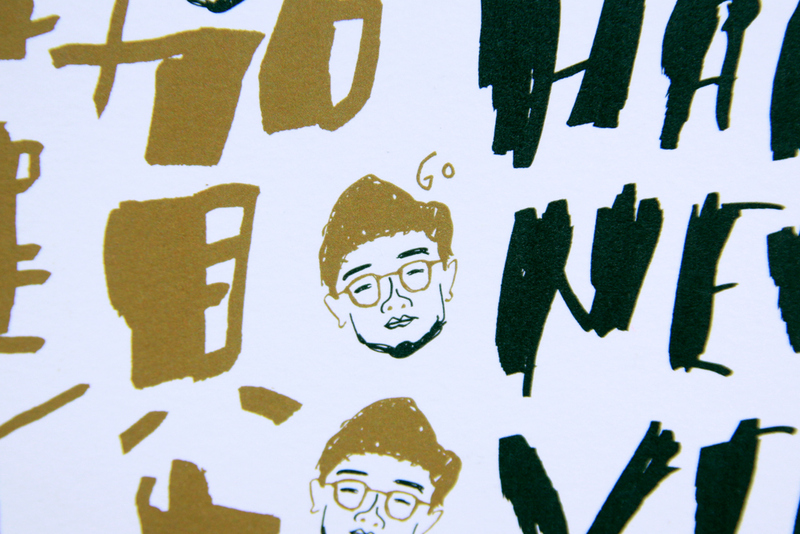 And, as I’d had some new friends living abroad, the address side of my card was designed for overseas specification.